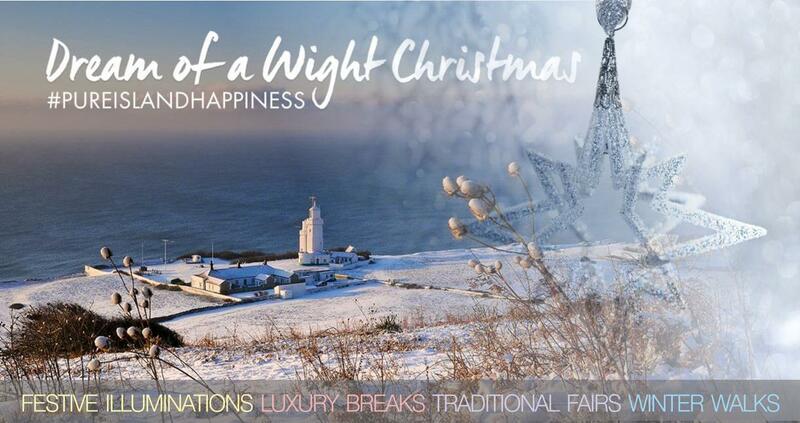 Visitors to the Isle of Wight can immerse themselves in a Victorian Christmas this winter with a variety of festive events and traditional entertainment from times gone by. The Victorian era has seen a resurgence thanks to the recently released film Victoria & Abdul and ITV’s drama Victoria, so why not see how Christmas was celebrated by Queen Victoria and the Royal family in the Queen’s favourite home by the sea at Osborne? On selected dates in December, Christmas at Osborne offers festive guided tours to see the house ‘dressed’ for Christmas as it would have been during the Royal reign with Christmas trees, rooms decorated throughout and grand dining tables set for a festive feast. For the first time ever, Osborne is opening its grounds after dark with a stunning fairytale of light, colour and sound. Enchanted Osborne takes place from 15-23 December. Follow an illuminated, festive garden trail swathed in strings of lanterns and fairy lights and emerge into a scene of a traditional fairground with a myriad of old-fashioned entertainment. In addition, The Spectacular Brighstone Christmas Tree Festival, which takes place 7-10 December, sees local churches, pubs and community halls in and around Brighstone and Mottistone, come together to showcase over 200 ‘theme decorated’ trees. The totally unique and free event includes Santa's Snowy Grotto, musical entertainment with concerts and carol singing, craft fairs, lace-making demonstrations, handbell ringing and an outdoor nativity pageant performed with local cast and musicians. The tree displays then continue in three locations from 11 December to 2 January, without the additional activities, at The Parish Church, the Isle of Wight Pearl and the Methodist Chapel. 'The Isle of Wight is a magical place to be during the festive season with its thatched pubs, spectacular coastal winter walks and quintessentially English villages. 'But the Island’s connections with Queen Victoria and its popularity amongst figures of note during the Victorian era – Edward Lear, Alfred Tennyson and Charles Dickens to name a few – means that visitors can step into England’s past. For additional seasonal fun this December, kids will love Santa’s Specials at the Isle of Wight Steam Railway with its Winter Wonderland, Christmas market, live music, entertainment and magic shows, all rounded off with a visit to see Father Christmas and a trip aboard a majestic steam train. For those coming to the Isle of Wight to discover a Victorian Christmas, there is a huge choice of accommodation across the Island. Stay in cosy thatched cottages, seaside apartments, boutique B&Bs, luxury hotels, pooch-friendly pads or large, self-catering properties for big groups. A two-night stay on a dinner, bed and breakfast basis at The Hambrough, Ventnor costs from £210 per person based on two people sharing an executive sea view room. Valid from 26 November to 21 December 2017, Tuesday to Saturday, the price includes return car ferry crossing from Southampton with Red Funnel.